Usually during this time of year, I'm sad to say good-bye to summer. It's hard to let go of the long nights and sunny days. This year, however, I'm pretty excited about the start of the fall season. Don't get me wrong - I love summer, but there's just something so enthralling about the onset of chilly weather. I love the smells, the colors, and the textures - specifically textures like furs and leathers. To start the transition from summer to autumn, I decided to make a DIY fur pillow out of my favorite fall feels.... except this pillow is animal-friendly! Can Olive Oil Really Fix Scratched Leather Furniture? One such popular cure-all life hack is how to fix scratched leather using that lovely golden Mediterranean export, olive oil. But does it really remove scratches from leather? Make a Stylish Leather Pendant in Under 15 Minutes! Whenever I'm in need of new jewelry, I always turn to leather. It's one of those wonderful materials that's no mess, no fuss, AND the end result looks a million dollars. Now if that's not a crafter's dream, I don't know what is! Raise your hand if you have trouble finding jewelry that you like! Modern and interesting jewelry at affordable prices can be such a unicorn, don't you think? Which is why jewelry is the perfect candidate for some good old DIY intervention! I love rolling up my figurative sleeves to create unique, handmade accessories. My latest jewelry project is one you minimalists will love: DIY leather circle earrings. Leather is one of those materials that seems intimidating... but once you start working with it, you'll realize that it's not. I promise. So in honor of this sophisticated material, today I'm sharing ten of my favorite leather DIYs for your home. (And if you're not into using the real stuff, you can substitute vegan leather for any of these pieces!). There's no shortage of organizers for earrings on the internet - that is, if you only wear dangling earrings. Me? I'm more of a stud woman. And since stud earrings are so tiny, it's even more frustrating when they get disorganized! Oh, the hours I have lost trying to find the other half of a pair of earrings. 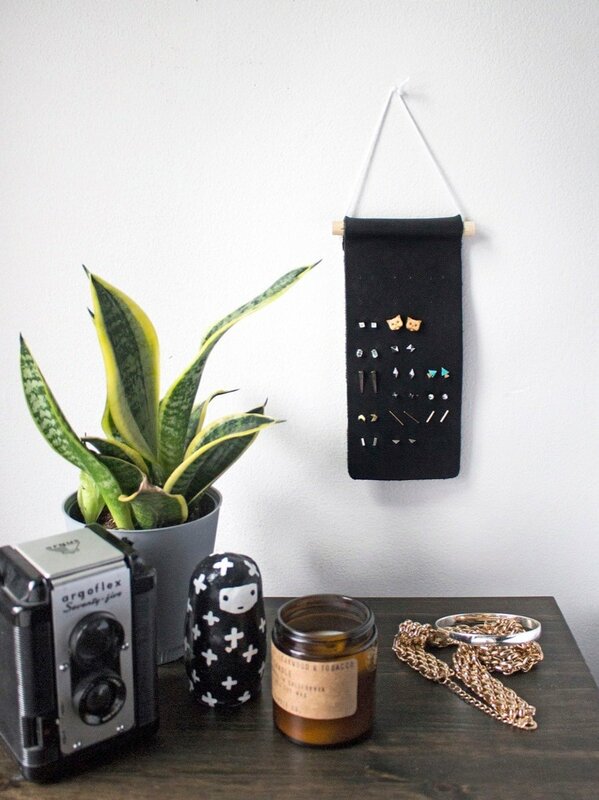 There aren't a slew of attractive organization options out there for purchase, which is exactly why I set to work making this stud earring organizer myself - and you can too! I was recently reading an article on how millennials are especially attracted to houseplants as it gives them something to care for since they can't really afford to care for anything else (the article is here if you're interested). As a millennial, you can count me in as slightly offended but also totally in agreement. My home is slowly being filled with all things leafy and green - I just can't help myself. With all these plants comes the need for somewhere to put them, so let's take to the walls with this DIY hanging fabric planter. Picnic season is upon us. As a matter of fact, July is National Picnic Month! To celebrate, we're working on projects all month that are best enjoyed outdoors. Today I'm here to show you how to transform a regular straw tote bag into a handy backpack, perfect for bringing an outdoor lunch to the park. Keep reading to see how this picnic basket backpack was made. 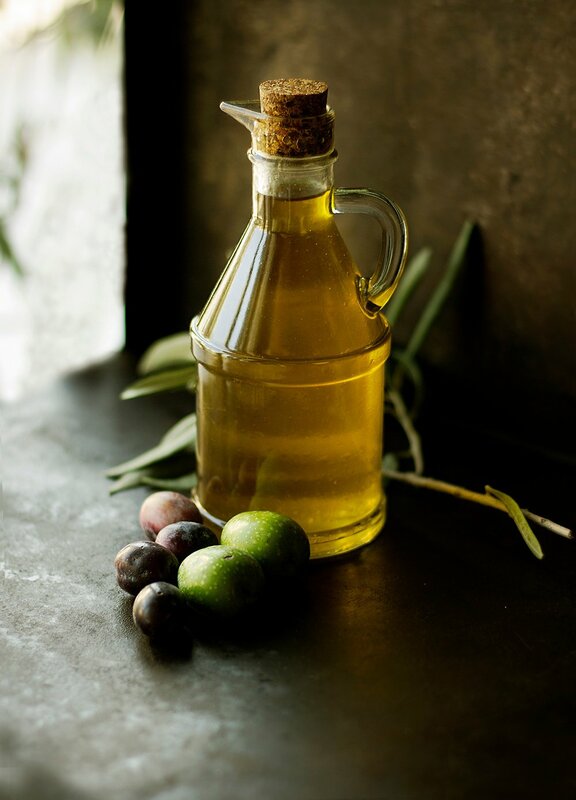 Nutritionists will continue to tout olive oil for its high content of healthful, monounsaturated fats, like oleic acid, and polyphenols. The fruit oil practically propelled the entire Western world in antiquity, and is mentioned in nearly every sacred text this side of the Tigris and Euphrates. My home is practically filled with ottomans and poufs. I used them as side tables, foot rests, extra seating and so much more. They're also very kid friendly, cozy, and comfortable. So when I found an old white leather ottoman at an estate sale, I decided to see if I could change it up using leather dye. Read on to see how how it turned out. I love to read magazine and so does my family. Long live the paper subscription! So, I wanted magazine storage for our living room to keep them all in one place. So, let's get to it: how to make a simple and stylish wood and leather magazine rack. I use my headphones every day, and I carry them to work in my purse, where, despite my best efforts to roll them up carefully, they inevitably intertwine into a balled-up mess. To prevent my headphone from becoming consistently tangled, I made this simple round leather headphone organizer that stores my lightly coiled headphones and slips easily into my purse or just as easily into a large pocket. My camera is always on the go, so I need a strap to keep my it safe. Here are some of my favorite do-it yourself camera straps. 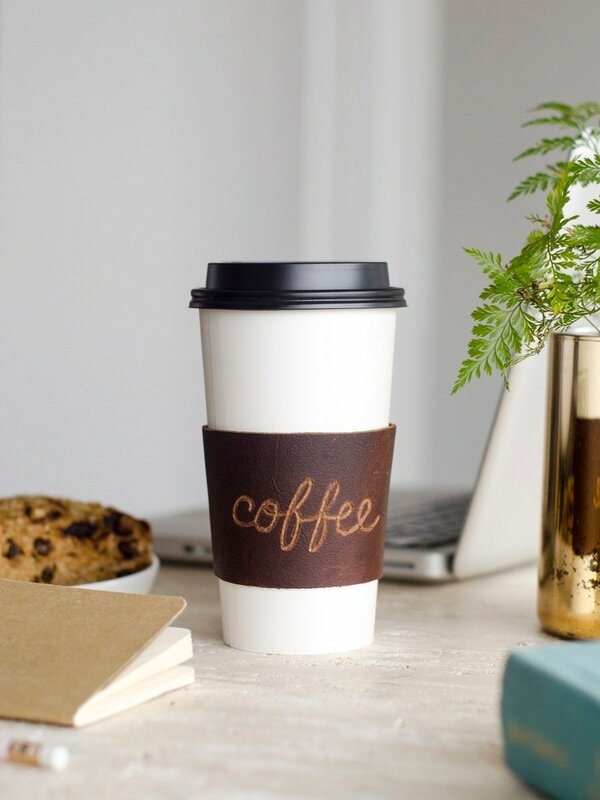 These DIYs are simple, unique, and most importantly, durable. Before you go out and buy one, check out this roundup of 12 camera strap tutorials. We're nearing the finish line of our office makeover (more on that later) and so I've turned my attention to some of the finer details... details like, you know, mouse pads. After a desperate search to find some that blended form and function in a way that made my aesthetic-loving soul happy -- and failing -- I decided to make my own. And I'm glad I did because, holy cow, I love them! It's that time of year where you scour the shops both online and in store for the perfect gift for the guys in your life. We've taken out a lot of the work and rounded up 25 of the coolest gifts for guys from around the web! From tools to gourmet food kits to wooden cuff links, there's something for every man on your list!